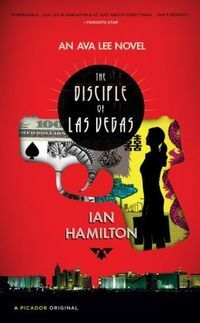 The publishers of Ian Hamilton's The Disciple of Las Vegas: An Ava Lee Novel are attempting to position the book as Canada's answer to Steig Larssen and, get this, Ian Fleming, which says a lot about Canadian thrillers…and none of it good. Imagine Jack Webb adapting The Girl with the Dragon Tattoo and that will give you a sense of how "thrilling" this book is. Ava Lee is a Toronto forensic accountant hired to recoup $65 million pilfered by a Vancouver executive working for a beer company in Manila. Oh, and she's a lesbian and a martial arts expert, not that either one of those aspects of her personality come into play at all…unless you count a brief fight and a couple of dull email exchanages with a stranger to arrange a blind date. It's clear that Hamilton has no idea how to construct a thriller, much less a compelling story. 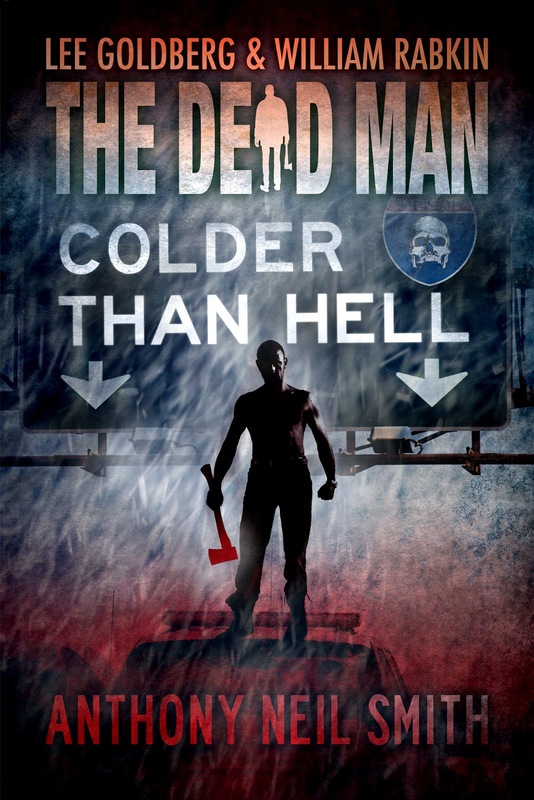 The first hundred pages of this book are nothing but plodding, heavy-handed exposition without a shred of actual drama or conflict, all told without the slightest bit of style, wit, or fun. Once the exposition finally lets up, the heroine spends her time flying from place to place, interviewing people, checking her email and making phone calls to tell other characters the boring things we already know. It's all about as action-packed and fun to read as a spreadsheet. But the crippling problem with this listless story, beyond the exposition and repetition, is that there's no real conflict for Ava to confront or dramatic obstacles for her to overcome. The emotional and physical stakes aren't just low, they are non-existent for Ava and her clients who, to make matters worse, are depicted as thoroughly unlikeable and unworthy of her efforts. So there is zero reason for the reader to care about what happens, and no rooting interest beyond, perhaps, wanting one-dimensional Ava to get her commission on the recovered money. That's not enough to motivate readers to slog their way through this book. And they really shouldn't bother. Nothing remotely interesting happens until page 218, but after ten surprisingly violent pages that offer some hope that things might finally start moving, the book falls right back into its deep, narrative slumber until the very end, a long and tiresome 130 pages later. Ava may be a martial artist but she vanquishes her adversaries and overcomes her obstacles, what few insignificant ones there are, with phone calls rather than action. The climax of the book (and I'm being very generous calling it that) comes down to her making some phone calls to ask other people to make some phone calls, and then us hearing about those phone calls in some more phone calls. As if that wasn't enough fever-pitch phone call excitement, in the final confrontation with the bad guys, Ava offers to make one more phone call. I suppose it's only fitting then that the epilog is Ava making some more phone calls and answering her emails. Lisbeth Salander and James Bond, eat your hearts out. 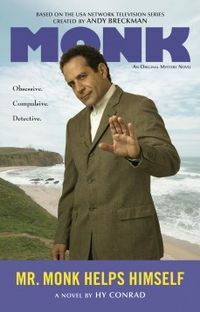 Here's the scoop, MONK fans, on Hy Conrad 's upcoming book MR. MONK HELPS HIMSELF. Monk and Natalie are settling back in San Francisco, with one big change. Monk has agreed to make Natalie a full partner. That means Natalie has to pass the California P.I. exam and Monk has to start treating her as an equal. The trouble starts when Miranda Bigley, a self-help guru, jumps to her death in full view of a hundred people. It’s obviously suicide. But Natalie was a fan of Miranda’s life-affirming teachings, and she thinks there must be something more. Maybe even murder. Monk has handled dozen of impossible cases. But this one is really impossible, he says. If Natalie wants to look into it, she’s on her own. Instead, Monk turns his attention to a clown, killed by poisoned money. It’s a case that could become one of the most important of his career. The only drawback? Monk is afraid of clowns (phobia #99), and Natalie refuses to help him if he doesn’t help her. And so, they’re off on their own, with Natalie infiltrating the guru’s cliffside retreat, Monk trying to stay as far away from clowns as possible, and both of them trying to stay alive. If there’s one case that can teach them the importance of an equal partnership, this is it. 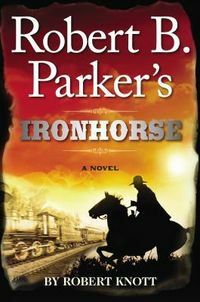 Robert Knott's IRONHORSE is not as good as Robert B. Parker's first two Virgil Cole novels, but it's better than his last one, which was truly awful on just about every level. Knott doesn't have Parker's characters down at all (Cole makes many uncharacteristic, dull expository speeches in this book), and there's quite a bit of repetition, with the characters telling one another what we already know (a rookie mistake for newbie authors), and he doesn't capture Parker's lean style. But taken on its own merits, IRONHORSE is an enjoyable western none-the-less, with a fast-moving, twisty plot and some strong action. 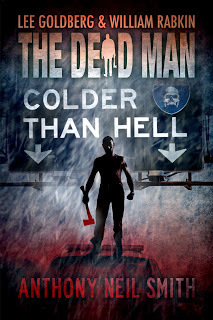 Bottom line: it doesn't come close to Ace Atkins' brilliant Spenser novel, which perfectly captured Parker's voice, nor was it as bad as Michael Brandman's execrable Jesse Stone books. Here are the nominees for the 2013 Edgar Allan Poe Awards, honoring the best in mystery fiction, non-fiction and television, published or produced in 2012. I say Thank You for my discovery of reading. That might sound strange coming from a 51 year male whose wife has thousands of books in our house. But I have never read a book since I was forced to in high school, even then I'm not sure I actually did. While my wife was looking at books at a tag sale my daughter was looking at Mr. Monk is Miserable, she put it down, after my wife purchased several books we were leaving when the man gave my daughter the book. It was very nice of him, but what happened next has changed my life. My daughter read the book. And when she was done she said, Dad, I know you don't read, but please try reading this book. My wife reads hundreds of books a year and had never gotten me to pick up a book, but when my little girl asked me to, I did. I could not put the book down. It was so easy to read, problem was it was the 7th book. I have a lot of catching up to do. So for my birthday I got book #1, Christmas, books 2, 3, and 4. 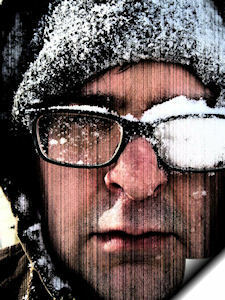 So reading the acknowledgments I saw your website, and got your email address, and just wanted to say thank you. You know I'll be getting the rest of the series to read, and after that I'm sure reading is in my future. Isn't that amazing? I am going to keep this email on my wall so that when the writing gets tough, I'll be reminded of readers like him, stop my whining, and press on. The Authors Guild reports that magazine publisher Conde Nast (Bon Appétit, GQ, The New Yorker, Self, Vanity Fair, Vogue, and Wired, among others,) is attempting to screw freelancer writers out of a significant chunk of the TV & movie rights to their articles. Movies such as Saturday Night Live and Hurt Locker began as magazine articles. [They] would slice writers' share of potential film and television income to freelance works appearing in its magazines by more than 50%. Its new boilerplate contract — introduced last year — would give the company a free, exclusive 12-month right to option dramatic and multimedia rights. Under the contract, Condé Nast could choose to extend that option by up to 24 months for a modest sum. Should Condé Nast exercise the option, the writer would, under boilerplate terms, be paid just 1% of the film or tv production budget. Negotiated film and tv agreements typically pay the author 2.5% or more of the production budget. […] Christine Haughney of the New York Times writes about the contract and dispute today in an article that quotes Jan Constantine, the Authors Guild's general counsel. I am the owner of this new platform a company that is launching now..
full 118 page film script available to work with and my original epic and my team and all else.. I own all the rights to these works – registered at the writers guild etc. I couldn't make any sense out of the email, so I looked at the site. That was even more incomprehensible (though just as badly written). It appears to be a blog dedicated to some fantasy world she's created and wants to exploit in books,movies, and a store. I think it has something to do with the magic of music, or musical magic, or God knows what. It's a real rambling mess. It appears what she's looking for is someone to novelize a movie script of an outline of a novel that doesn't yet exist, except as a book proposal and an incoherent blog. Well, she came to the right guy. I can't think of something I'd rather do or a more valuable use of my time. But darn it, I'm just too busy with other committments to jump at this great opportunity. So it's all yours. Go for it. Officials made the decision afterfinding that he had tried to delete stories from the profile as well as links to Telegraph.co.uk, and had breached its "self promotion" rules. This is clearly a guy with a huge ego (or is it raging insecurity?) who is so intent on praising himself that he doesn't realize how self-destructive his actions are, that all he succeeds in doing is making himself look desperate and pathetic.